Chinese President Xi Jinping won significant support from the 18th Central Committee of the Communist Party of China when its sixth plenary session concluded on Thursday with a declaration confirming his continued role as the party’s secretary-general and that he is the “core” of the country’s leadership. 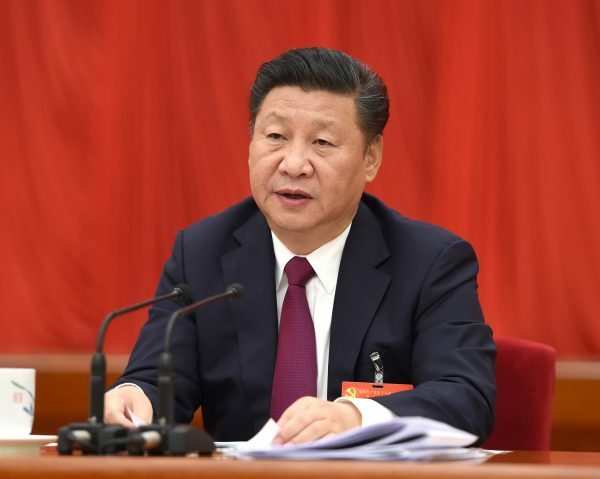 Xi was awarded the new title following a four-day plenum of 370 senior officials of the party, and a communique issued called on all its members to “closely unite around the CPC Central Committee with Comrade Xi Jinping as the core”. This is the first time the party has used the phrase “core leader”, although it did not do away with the collective leadership apparatus – a mechanism introduced in 1981 to ensure that no one person was able to dominate the party leadership. Nevertheless, the president’s new title is a marked elevation of status amidst fears that the emerging personality cult surrounding him could make him too powerful like the late Chairman Mao Zedong. But it also gives President Xi an opportunity to centralize Party roles under him in a bid to push forward his plans for boosting China’s economic and military stature. In the past few years, he launched an anti-graft, anti-corruption drive to route out party officials who have been breaking commercial laws and gaining wealth through illicit means. A Pew Research survey conducted in early October found that nearly 50 per cent of the Chinese public believe corrupt officials constitute a very big problem for the country. Eighty-three per cent said that corruption was a moderately big problem. Speculation runs high that Xi could seek to stay in power beyond the traditional 10-year term. Sources with ties to the leadership say, however, say that he has moved to stop practices including adoring songs on the internet and references to him in state media as “Uncle Xi”, Reuters reported. Meanwhile, as anticipated, the plenum tackled corruption – particularly in the area of electoral fraud by declaring it would end the practice of “buying and selling official positions” and other means of vote manipulation. The plenum also approved two documents on Rules on Intra-Party Political Life under the new situation and a regulation on intra-party supervision, the Chinese news agency Xinhua quoted a communique as saying.